Jorge Oteiza, Circulación en Redundo con Signos en el Pais Vasco, 1958-59 (c) ADAGP, 2014. Collection La Petite Escalère. Photo (c) Carolina Penafiel. For more information on how to support us, keep updated on current projects and work together on a partnership, please contact us by email or by phone from Monday to Friday, 10am to 6pm, at +33 (0)9 51 63 77 56. 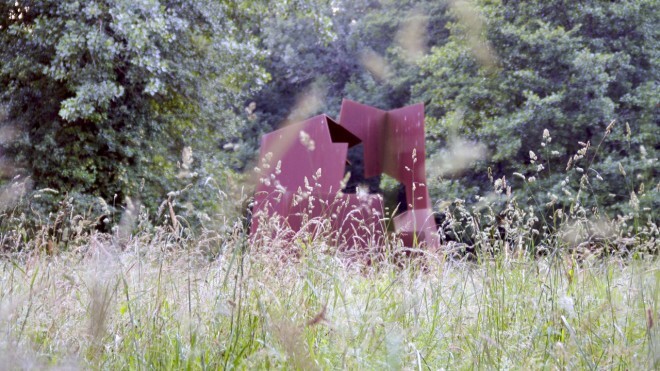 The association Les Amis de La Petite Escalère was created in 2011 to help preserve and promote this exceptional garden and its collection, by organizing cultural events, conferences, exhibitions and residencies around art, landscape, and nature. Thanks to the generous support of its members, to the financial help from the Ministère de la Culture et de la Communication (DRAC Aquitaine), from the region Aquitaine and its private partners, the association Les Amis de La Petite Escalère is able to preserve a legacy, support contemporary creation and implement innovating projects involving art, nature and health. La Petite Escalère, 4 blvd de Strasbourg, 75010 Paris, France. Associating your business’s image to that of a place of culture and creation such as LPE is showing how committed you are to the cultural and social development of a whole region. 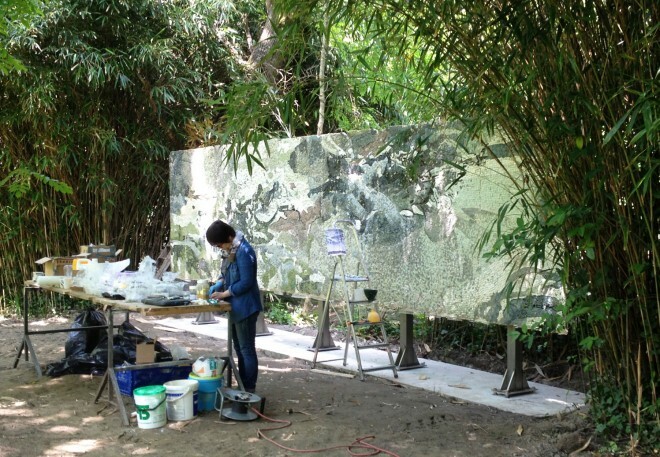 Restoration of Zao Wou-ki’s mosaic Fond aquatique, 1985 by Muzhi Wang, senior at the sculpture restoration department of the ESBA of Tours, France. January 2013 – November 2014. Photo (c) Corinne Crabos. After being exposed to difficult weather conditions for several years, the sculptures need to be restored and protected. Since 2012, several works have been restored thanks to the financial support of Les Amis of La Petite Escalère. Many more will come as part of a major restoration program of the collection. LPE is giving you the opportunity to take part in this project by sponsoring the restoration of a particular work. 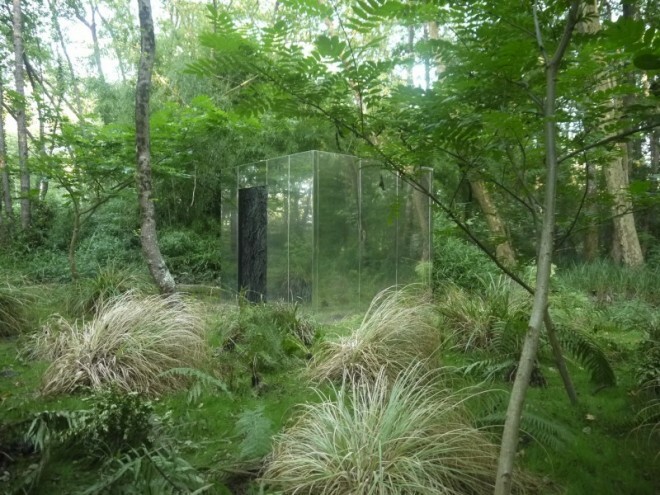 In 2015, the association is hoping to restore Otto Fried’s fountain, Esprit de la forêt, 1995. 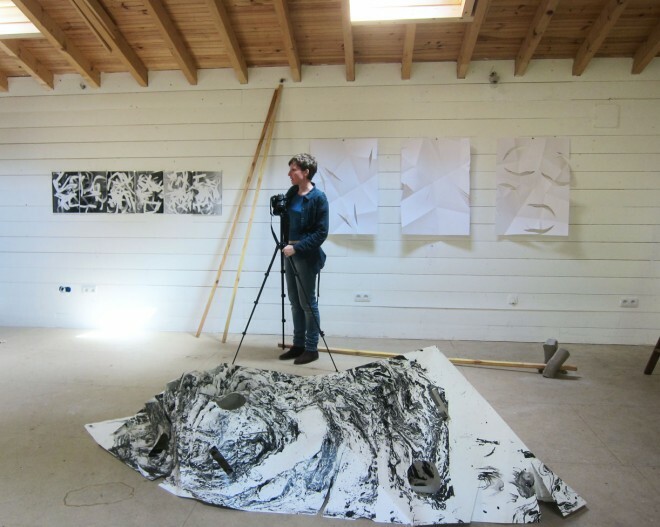 Artist Sarah Bahr in the studio during her residency at the LPE in the spring of 2013. Photo (c) Dominique Haim. 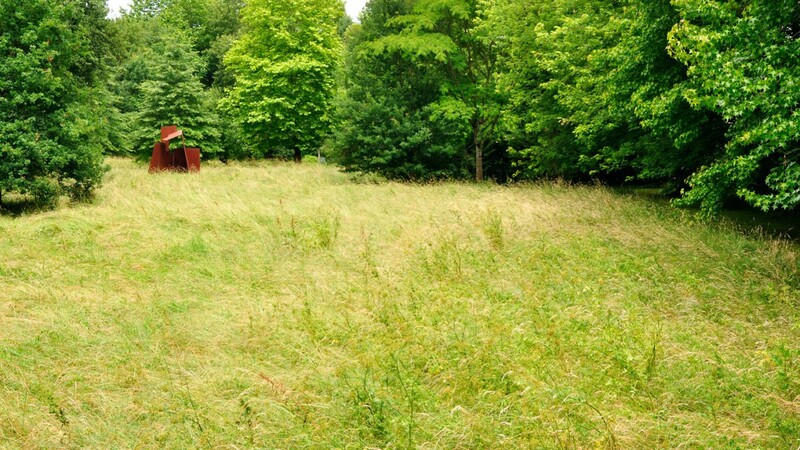 Les Amis de La Petite Escalère organizes artists’ and writers’ residency programs, installs and displays contemporary works, offers lectures, conferences, round tables on art, nature, and landscape. The association also implements “Art, Nature and Health” projects with specific groups, school children, students, or audiences with special needs. This is an opportunity for you to support one of these specific events and to associate your business to our creative, educational and cultural projects in a more perennial way. Cristina Iglesias Untitled (Vegetation Room XI), 2004. Bronze powder, polyester resin and stainless steel, 300 x 300 x 285 cm. Courtesy of the artist. Photo (c) Dominique Haim. La Petite Escalère offers an exceptional partnership with a few patrons who support our global project for a period of three years. This partnership comes with multiple benefits and allows the association to implement a demanding, innovative and unique program. When a business filing tax returns in France makes a donation to a non-profit organization, not only is it eligible for an income and corporation tax deduction, but it can also benefit from marketing and public relations advantages. For businesses, the tax deduction amounts to 60% of the donation. The total deduction cannot exceed 0.5% of the company’s net turnover. However, should your donation exceed the 0.5% threshold, you may file this excess amount over the next five fiscal years. *This deduction is available for companies that are fiscally based in France. For more information on the different ways you can support us, to be informed on our current projects and build a personalized partnership with us, contact us by email or by phone at +33 (0)9 51 63 77 56, Monday through Friday, 10am to 6pm.